Serves children ages 2.9 years- 5 years. The exciting third year (Kindergarten) culminates as a leadership year. Your child will continue to practice and expand upon, the many skills gained through the 3 year cycle. 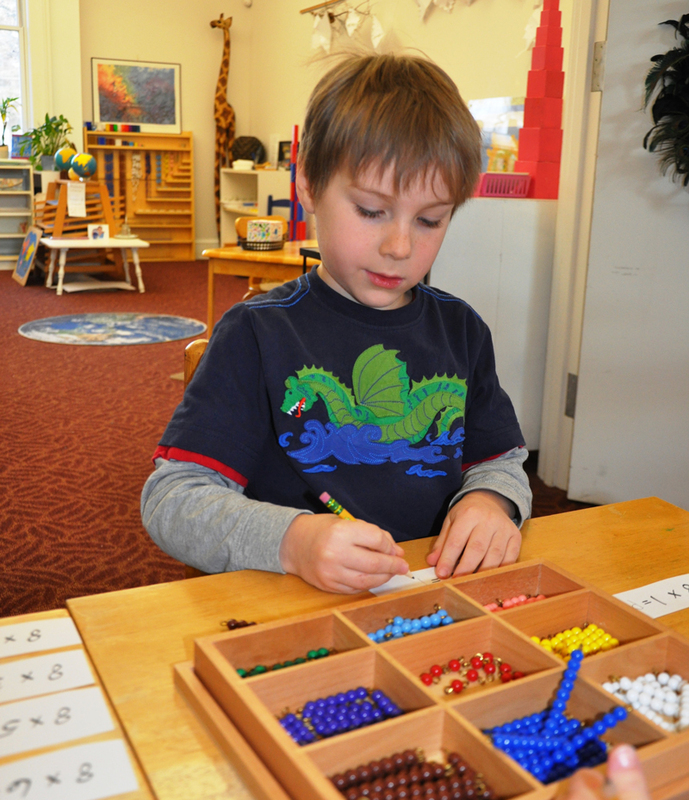 In a Montessori environment, the emphasis is on individual growth which allows for cognitive development based on a firm foundation of sensory and motor skill training. This foundation makes the transition into the more advanced academic work so much easier for your child. This transition occurs naturally during the kindergarten year in a Montessori environment, and it occurs without stress or pressure of extrinsic praise.